Welcome to the Ultimate Learning / DigiSoft download page. This is the place to visit to download your Ultimate Learning and DigiSoft software. Try out the latest products and advanced beta-versions of our future releases. Every Ultimate Learning / DigiSoft product is available for a free trial before purchase. This way, you can know for certain the software is just what you need and want. Our downloads are the complete versions of our software, but will stop working after 14 days. You may purchase a key code to permanently unlock your software any time within that 14 day period. Our online store is open. You can order your key code directly online or by calling our toll-free number: 1-866-DigiSoft. 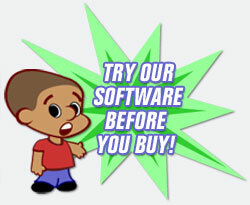  Make sure that your new software is installed on your computer.  Once you purchase your key code from our online store, it will arrive by email within the next 1 to 2 business days.  After you receive your key code, just follow the on-screen instructions and enter your key code when prompted.  Remember, you have 14 days to purchase the key code before the free trial period ends.  Download and install the software you selected from the list of Ultimate Learning / DigiSoft products.  Follow the on-screen instructions and enter your key code when prompted.  You may use the software for free during the next 14 days.  You can purchase the key code at any time during the 14-day trial period.  At the end of the 14 day trial period, you must purchase a key code or the software will stop running.  You may purchase the key code by phone, fax, or online.  If you purchase by phone, you will receive your key code immediately.  If you purchase by fax or email, your key code will arrive by email within the next 1 to 2 business days. Feel free to try any of our products from here on our download site. If you own a Pocket PC, don't miss out on our new portable versions of Fun With Feelings and Problem Solvers. Same great features, but available for use on your handheld! Also, make sure to try this year's hottest software: PictPocket Cinema. Nominated for PocketPC Magazine's prestigious "Software of the Year" Award, you'll definitely want to download PictPocket Cinema and take it for a spin! Teach your child to understand the emotional states of other people. Windows® 95, 98, NT, 2000, ME or XP is required. Use your handheld device to teach your child to understand the emotional states of other people. Pocket PC Windows CE version 3.0 or greater (ARM, MIPS, SH3). Increase your child’s comprehension of math through stunning graphics and a fun-filled, game-style environment. Watch your child become a junior sleuth as they learn to ask and answer the "Wh-word" questions: Who, What, Where, When and Why. Use your handheld device to watch your child become a junior sleuth as they learn to ask and answer the "Wh-word" questions: Who, What, Where, When and Why. Improve your child's social skills through songs on this interactive CD featuring original music from children's recording artist, Cathy Bollinger. Teach your children to read using familiar stories and original music from children's recording artist, Cathy Bollinger. 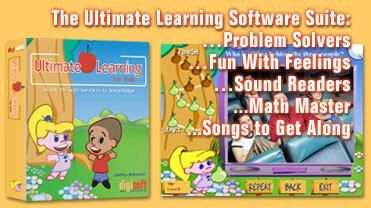 *Fun With Feelings, Math Master, Problem Solvers, Songs to Get Along, and Sound Readers can each be purchased seperately or as part of the entire Ultimate Learning Software Suite for the special price of only $99.95. PictPocket Cinema WM5 has been specially created and updated for use on the Windows Media 5 OS. PictPocket Cinema VGA has been specially created and updated for VGA Pocket PC. PictPocket Cinema Standard is compatible with Pocket PC 2002, 2003 OS and 2003 OS SE. PictPocket Cinema expands its static image and video viewing features to include realtime streaming of media files from your own personal desktop file server. Never lose touch with your media files again. Now it's even better than having a movie theater in your hand! Version 4.0 comes with a desktop converter that can convert unsupported QuickTime and AVI files to files formats with codecs that can be displayed on PictPocket Cinema. Say goodbye to unsupported codec error messages! Important Note: PictPocket Cinema Standard is formatted for use with WM5, VGA Pocket PC, and the Pocket PC 2002, 2003 OS and 2003 OS SE (operating systems). These operating systems are not backwards compatible, but our software makes determining which version to install simple! When you start the installation process after downloading the executable file, the installer will automatically install the correct version of the software for your OS. anytime, anywhere on your Pocket PC. Requirements for VGA Version: Windows Mobile 2003 SE; QVGA (240 x 320) or VGA (480 x 640) displays. Requirements for Standard Version: Pocket PC Windows CE version 3.0 or greater (ARM, MIPS, SH3). Requirements for Windows Media 5 Version: Windows Media 5; 480 x 640 display. Important Note: PictPocket LE for Pocket PC is formatted for use with WM5, VGA Pocket PC and the Pocket PC 2002 and 2003 OS (operating systems). These operating systems are not backwards compatible, so please download the correct version of PictPocket LE for your operating system. anytime, anywhere on your Palm OS PDA. anytime, anywhere on your H/PC 2000 device. Handheld PC 2000 Windows® CE is required (HP Jornada 720 and others). Acquire, edit, display, and convert over 50 supported file formats, including audio, video and still images. Now upgraded with CD burning capabilities! Taking screen shots on your computer has never been this easy! Click here to download (5.48 MB): Capture-It! A stand-alone file converter that works on almost any format  for audio, video and still image files. Now upgraded to include CD-burning capabilities! Anytime, anywhere access to patient files, DICOM images and more, directly on your Pocket PC. Now improved to include real time streaming media directly from desktop PCs. Anytime, anywhere access to patient files, DICOM images and more, directly on your H/PC 2000 device. This DICOM compatible image viewer is also a file editor, converter and digital annotation device designed for today's medical professional. 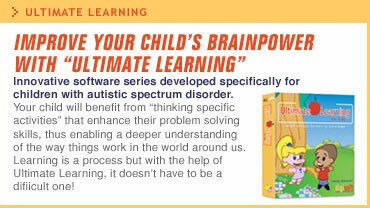 Buying Ultimate Learning and DigiSoft software is quick and easy from our online store. Find out how keycodes work, policies on refunds, exchanges and more.